Want to frolic in the snow? Then the snowy Huascaran is where you should go. 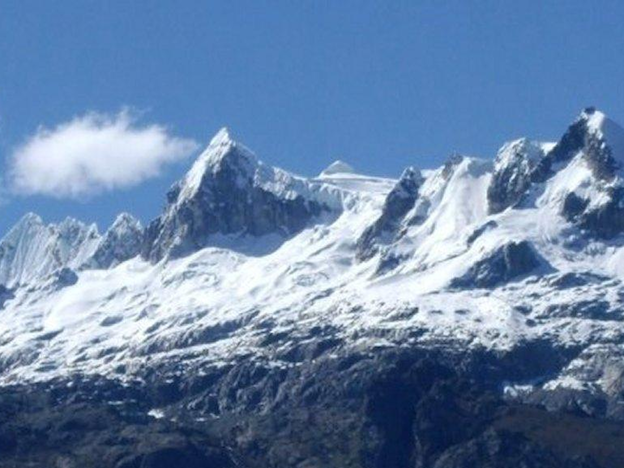 The Huascaran mountain, referred to as “the roof of Peru,” is located in the Western Cordillera of the Central Andes in the Cordillera Blanca in the Ancash department. This mountain has three summits. The south, with the highest peak of Peru at 6768 meters above sea level; the northern peak with 6555 m.a.s.l. ; and the eastern summit, with 6354 m.a.s.l. Those who ascend to the highest points enjoy the beautiful scenery of the Cordillera Blanca and Negra, lagoon glaciers, white mountains and the perfect setting with a blue sky. It also represents an adventure for extreme athletes, some of whom climb without any help. For this it is necessary to be in good physical condition and have to be properly acclimatized. The climb can take six to ten days, with the right guidance. Those who first climbed to the top of the southern peak did so in the 1860’s. The world record of ascent and descent was set by Andi Siebenhofer, who in 2000 reached the south summit without any assistance, only to descend by paragliding to the valley nearby.